The Missouri Department of Mental Health (MDMH) is dedicated to combating stigma associated with mental illness, developmental disabilities and substance use disorders. Since 2006, when MDMH began offering Mental Health First Aid, the state has successfully trained more than 37,000 Mental Health First Aiders. In 2006, as a part of the Substance Abuse and Mental Health Services Administration’s (SAMSHA) Mental Health Transformation Grant program, MDMH received funding to help transform the mental health system in Missouri. After receiving this grant, MDMH’s leadership team began searching for an educational and stigma-reducing initiative to invest in. The late Missouri State Senator Betty Sims became aware of Mental Health First Aid and strongly recommended that MDMH invest in it. 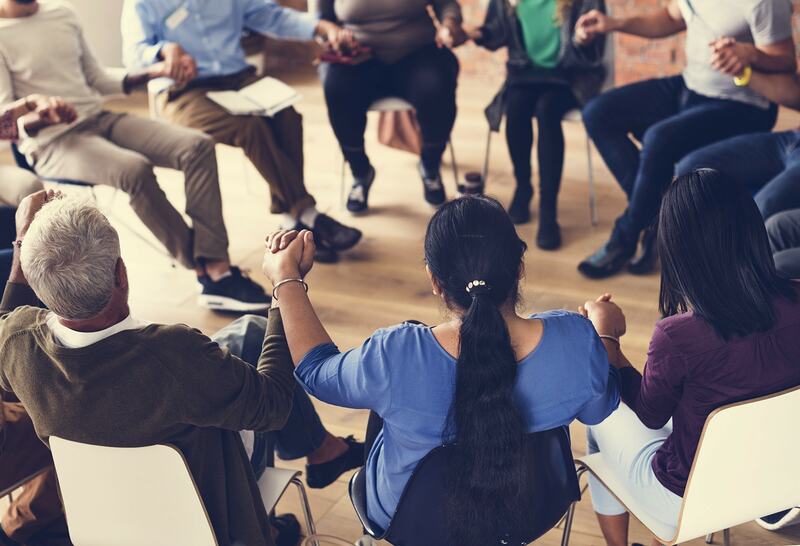 During the grant period, MDMH established a relationship with the National Council for Behavioral Health, who played a vital role in spearheading this effort. After the grant ended, MDMH was able to take advantage of state funding to drive this initiative forward. In an effort to establish the presence of Mental Health First Aid throughout the state, MDMH developed contracts with ten mental health centers in its Prevention Resource Network, which each have certified Instructors offering Mental Health First Aid to the community. Angie Stuckenschneider, Director of Prevention and Mental Health Promotion at MDMH, mentioned that each year, MDMH targets a specific population to train in Mental Health First Aid while continuing to meet the general demand across the state. MDMH previously has focused on serving veterans, and last year a target population was public safety workers. This led to the state taking the One Mind pledge, a national campaign led by the International Association of Chiefs of Police (IACP) that seeks to ensure successful interactions between police officers and people living with mental illness. The One Mind pledge also encourages participating departments to train all staff in Mental Health First Aid. MDMH is now focusing on better serving the homeless population by training public housing authorities and other agencies who work with the homeless. The Missouri Institute of Mental Health (MIMH) at the University of Missouri St. Louis (MIMH) has been instrumental in the success of Missouri’s Mental Health First Aid initiative. MIMH has been particularly involved in bolstering Missouri’s Instructor workforce. MIMH visits Mental Health First Aid Instructors periodically to ensure the quality and fidelity of their classes. In addition, MIMH keeps track of the number of classes each Instructor teaches to make sure Instructors are fulfilling their requirement of teaching three classes per year. Lastly, MIMH holds Instructor summits twice a year, providing Instructors with opportunities to ask questions and collaborate with others. Since 2006, Missouri has trained more than 37,000 first aiders and certified almost 300 Instructors, a result of MDMH offering five Instructor trainings per year (in part, through the ten prevention resource centers). In 2016, Missouri ranked first in the nation in first aiders trained per capita and 5th in total Mental Health First Aiders trained per state. In addition to the success that Mental Health First Aid has had state-wide, the Missouri Crisis Intervention Team (CIT) Council has recommended that all of Missouri’s police officers receive Mental Health First Aid training as a complement to higher-intensity CIT training, which is given to a subset of officers. St. Louis County Sergeant Jeremy Romo, who is also a team coordinator at Missouri’s CIT Council, has been certified as a national Mental Health First Aid trainer and has trained Instructors in other states. When asked about the future of Mental Health First Aid in Missouri, Stringer says, “There are a lot more people to train and there’s no shortage of requests for this training in Missouri.” Beyond training more First Aiders, MDMH is interested in improving the delivery of Mental Health First Aid to teachers and staff within public school districts.